I’m hardly competent to review this book, however I feel that Dr. Krauthammer would disagree! His inclusive nature, wit and wisdom would welcome and encourage all to join in the dialogue stirred by his wordsmpthery. 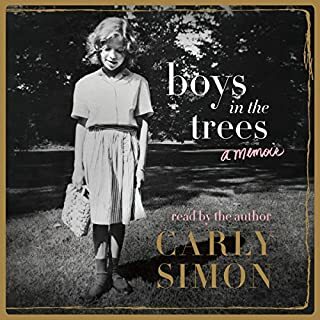 I thank the hosts of Special Report on Fox News for championing Charles’s book for their honest praise sealed the deal for me to know that I had to add his book to my Audible library. I’m forever grateful to have had the opportunity to know Charles through his writing and television appearances. 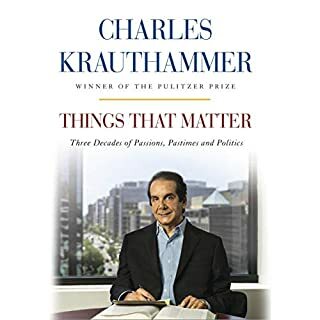 The world is a far better place to have Dr Krauthammer intellect preserved in this volume. Thank goodness he shared himself with all of us! Rich background of her life, honest, detailed, intriguing, loving narrative. I recommend her book to her fans, students of rock, James Tailor fans, historians, and readers of all interests! Behind the scenes narrative of a critical time in world history. 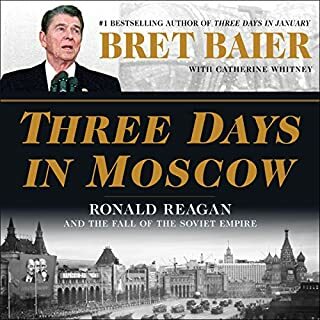 I could not stop listening as the chapters unfolds... Bret’s narration adds intimacy and energy to the book. Bravo! 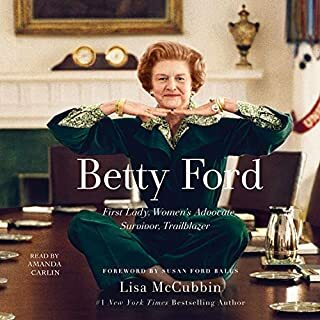 Betty Ford: First Lady, Women’s Advocate, Survivor, Trailblazer is the inspiring story of an ordinary Midwestern girl thrust onto the world stage and into the White House under extraordinary circumstances. Setting a precedent as first lady, Betty Ford refused to be silenced by her critics as she publicly championed equal rights for women and spoke out about issues that had previously been taboo - breast cancer, depression, abortion, and sexuality. If you don't know who Betty Ford was....You will! As an ‘88 album of the Betty Ford Center I’ve read Betty Ford’s books, and returned many times to BFC for the annual Anniversary Reunion Weekends. This lovely book provides me with a deeply moving view that I did not have of Mrs. Ford and her family that I did not have. I was fortunate to know her personality as simply “Betty”, and her powerful role modeling made a profound difference in my recovery & life. She kindly touched so many lives. The pebble she cast into the pond of history, by her life continues to send out ripples that gently rocks the boats of thousands of women diagnosed with breasts cancer, those with chronic pain, prescription medicine addiction, other drug addictions, and alcohol dependency. Ironically my symbol for the many transformations in my life, for so many years has been a butterfly. What a surprise at the end of the book to find out why! God blessed Betty, I love this book for revealing how and why. 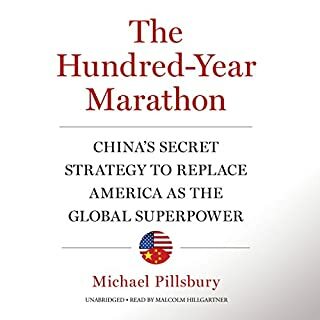 Fascinating, intriguing, sometimes frightening narrative of what Chinese leadership is planning for it’s future; intentionally hidden from western eyes leading to current misunderstandings of the strategy & policy of China today. Invaluable contribution for awareness and understanding of what is and what is not a threat our future. Must listening to stay current with modern journalism, political campaigns, and major players at the influencing table here & abroad. 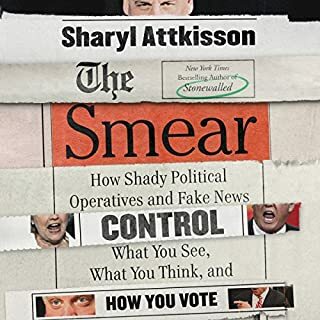 Painstaking researched, Attlisson reestablishes the standards of ethical journalism in the age of fakenews, superpacks, and mega-leakers. Her book should be required reading for every undergraduate and graduate program in journalism. In fact if it is ignored by a university’s department of journalism or political science send your kid elsewhere! 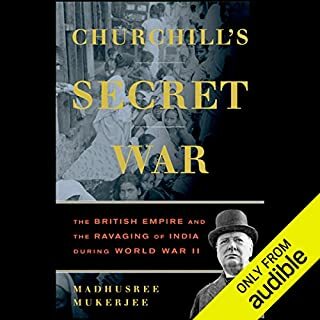 In 1943 Winston Churchill and the British Empire needed millions of Indian troops, all of India's industrial output, and tons of Indian grain to support the Allied war effort. Such massive contributions were certain to trigger famine in India. Because Churchill believed that the fate of the British Empire hung in the balance, he proceeded, sacrificing millions of Indian lives in order to preserve what he held most dear. The result: the Bengal Famine of 1943-44, in which millions of villagers starved to death. History & why we repeat! Unknown to me in detail, masterful narrative on the man I somewhat knew or so I thought. Required reading for understanding WWI & WWII and India / Pakistan today.